USPOULTRY and the USPOULTRY Foundation announce the completion of a funded research project at the University of Georgia in Athens, Ga., in which researchers show limited effectiveness for two darkling beetle control products. The research was made possible in part by an endowing Foundation gift from CCF Brands and is part of the Association’s extensive research program encompassing all phases of poultry and egg production and processing. A brief summary of the completed project is shown below. A complete report, along with information on other Association research, may be obtained by going to USPOULTRY’s website, www.uspoultry.org. The project summary is as follows. Dr. Nancy Hinkle and Dr. Brian Fairchild, from the University of Georgia, recently completed a research project in which they evaluated two products for the control of darkling beetles. The products they evaluated were diatomaceous earth and a fungus, which is pathogenic for insects, Beauveria bassiana. They found that neither product was highly effective against either the larval or adult stages of the darkling beetle. Likewise, when used together the effectiveness of the two products was not significantly enhanced. The lesser mealworm is the larval stage of the darkling beetle (Alphitobius diaperinus), a common pest in poultry houses. While this pest is known to damage facilities, increase energy expenditures, reduce feed conversion efficiency and create neighborhood animosity when they migrate to surrounding homes, its major impact is as a pathogen vector. In particular, darkling beetles are amplifying hosts of Salmonella, capable of retaining Salmonella through larval development and pupation, so that newly-emerged adult beetles are already contaminated and capable of infecting birds. Diatomaceous earth (DE) has long been touted as an efficacious natural insecticide for control of darkling beetles. 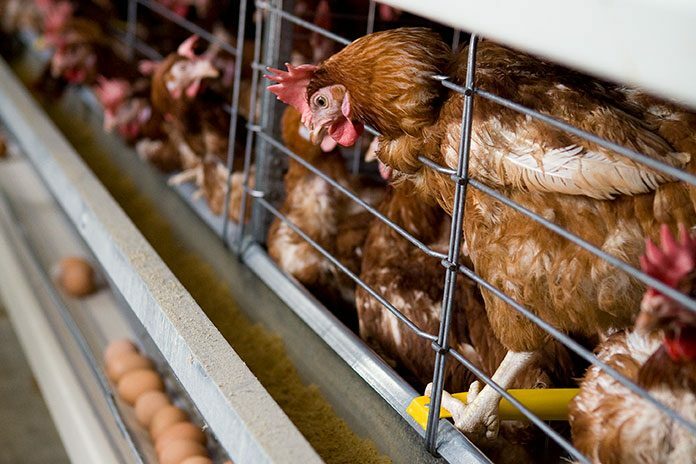 Frequently, poultry producers are quoted as claiming they obtained reductions in darkling beetle populations by using diatomaceous earth in their chicken houses. In addition to diatomaceous earth, producers are interested in other “natural” alternatives for darkling beetle control. Biological control options such as fungi, which are pathogenic to insects (Beauveria bassiana is an example), are being investigated for use in these settings. Diatomaceous earth was found to be ineffectual against Alphitobius diaperinus, the darkling beetle. Under ideal conditions, with no moisture and direct, sustained exposure to the DE for over a week, DE was unable to kill half the beetles at rates equivalent to over 1,110 pounds per house (223 g/m2). The fungus (Beauveria bassiana) proved to be minimally effective against darkling beetle larvae, but with no efficacy against the adult beetles. At the label recommended rate, half the larvae were killed in petri dishes following a week of fungal exposure. No adult beetles were killed by the fungus. Investigation of the combined use of DE with Beauveria bassiana revealed only modest synergism of the two compounds. The poultry industry should moderate its expectations for the effectiveness of diatomaceous earth and Beauveria bassiana products against darkling beetles. While these products have proven useful for control of some insect species, their usefulness in the control of darkling beetles appears to be less. Long-term, it is hoped that strains of Beauveria bassiana can be developed with significant efficacy against darkling beetles, creating fungal products useful in control programs.